A children’s classic, illustrated by a Kate Greenaway award winning illustrator. “He had killed one of the King’s deer! A cold sweat started out on his forehead, where his hand left a smear of blood. He stood as though petrified, wondering what to do. A rousing tale of Robin Hood – the clash of rich and poor in medieval England. 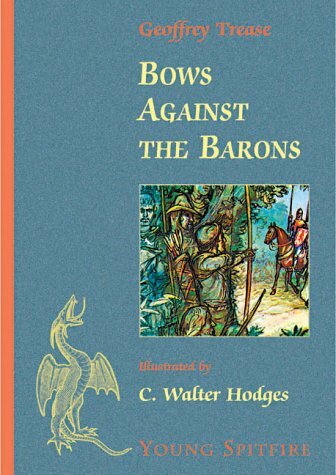 Geoffrey Trease wrote more than 90 books, his first, Bows against the Barons, being published in 1934. His books were translated into 20 languages. He was Chair of the Society of Authors and a member of the Royal Society of Literature. Be the first to review “Bows Against the Barons” Click here to cancel reply.